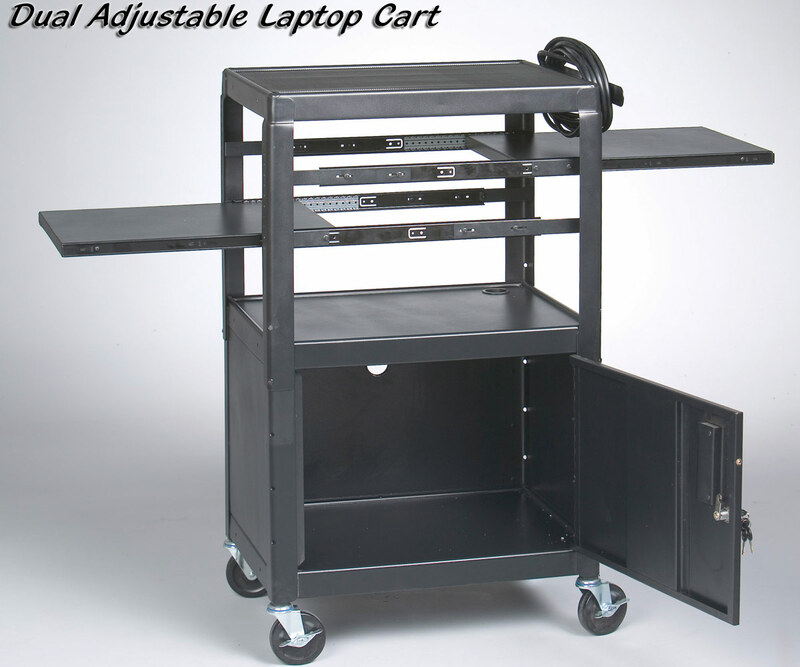 Dual adjustable laptop utility cart with locking cabinet. 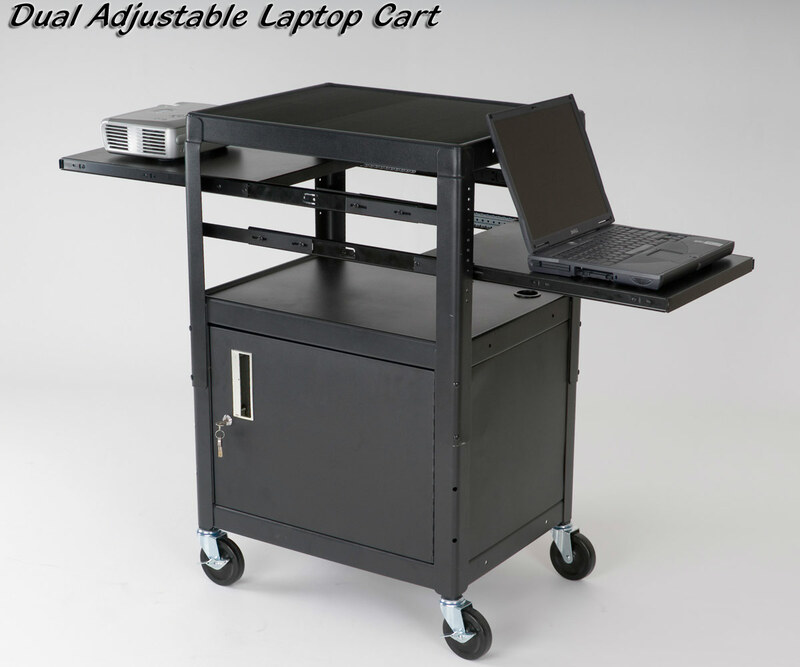 The top is equipped with 2 adjustable pull out shelves for external laptop use. Shelves adjust in 12 different heights at ¾” increments. 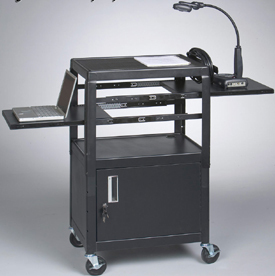 The entire top is adjustable at four, 4” increments – the highest setting allows 15 ½” of space and the lowest allows 8” of space from the top of the cart. 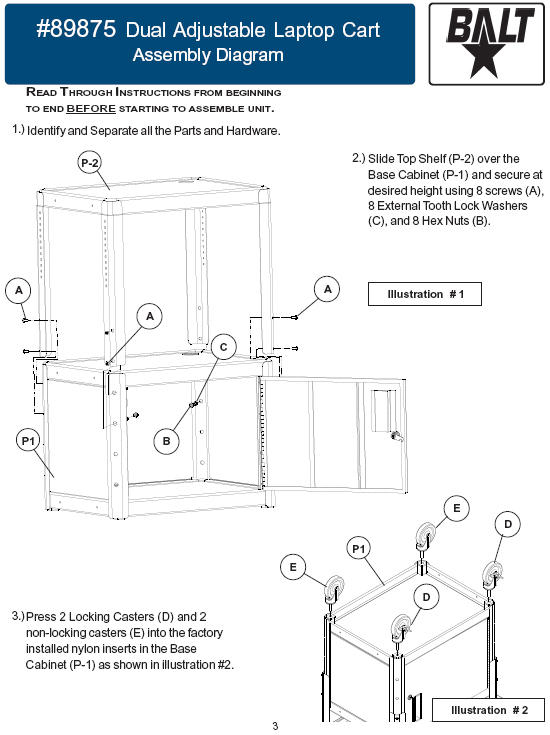 The bottom of the unit is a fixed height (26”) locking storage cabinet with 4” swivel casters (2 locking). 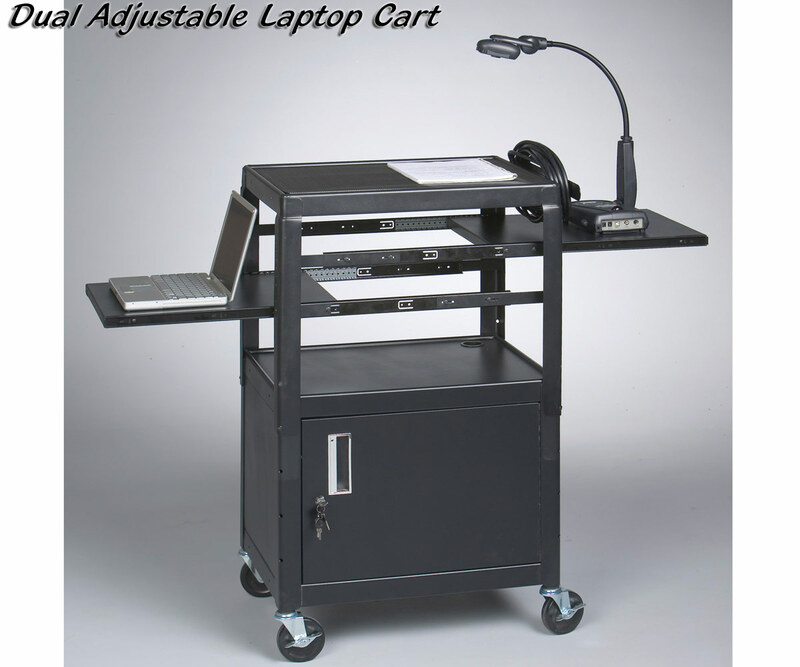 Overall Dimensions: 26-42h x 24w x 18d Height is determined by the highest setting of the top of the cart. 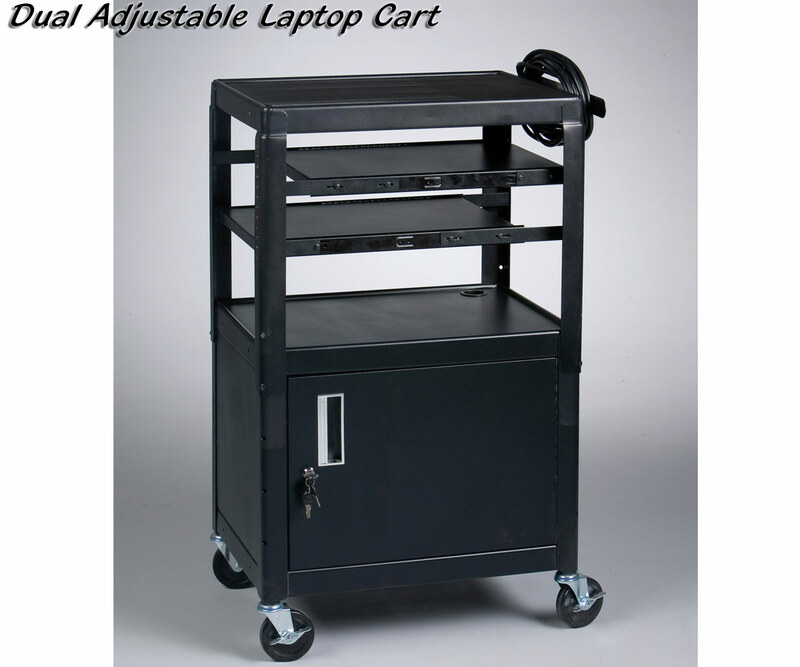 Includes UL/CSA approved, 4-outlet, surge-protected, electrical assembly with 25' cord, cord winder, and non-skid rubber mat. 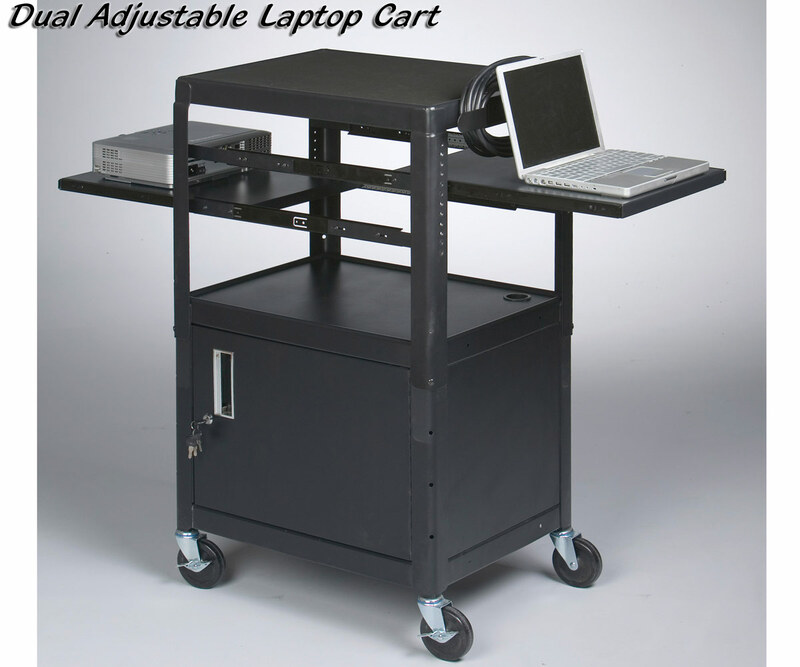 89875 Dual Adjustable Laptop Cart 26" - 42" H x 24"W x 18"D 79 lbs.